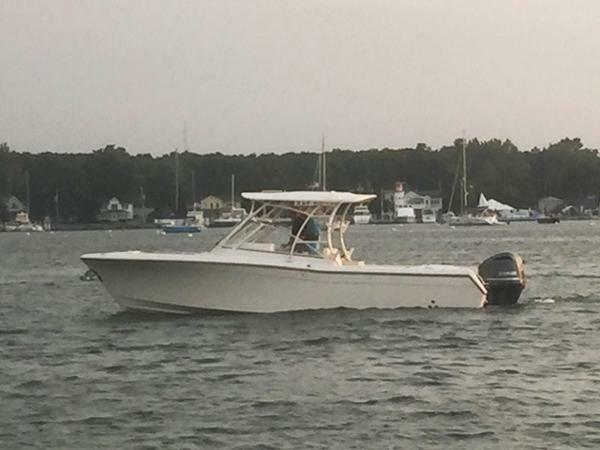 2015 Grady-White 285 Freedom 2015 Grady-White 285 Freedom with twin Yamaha F300 engines. 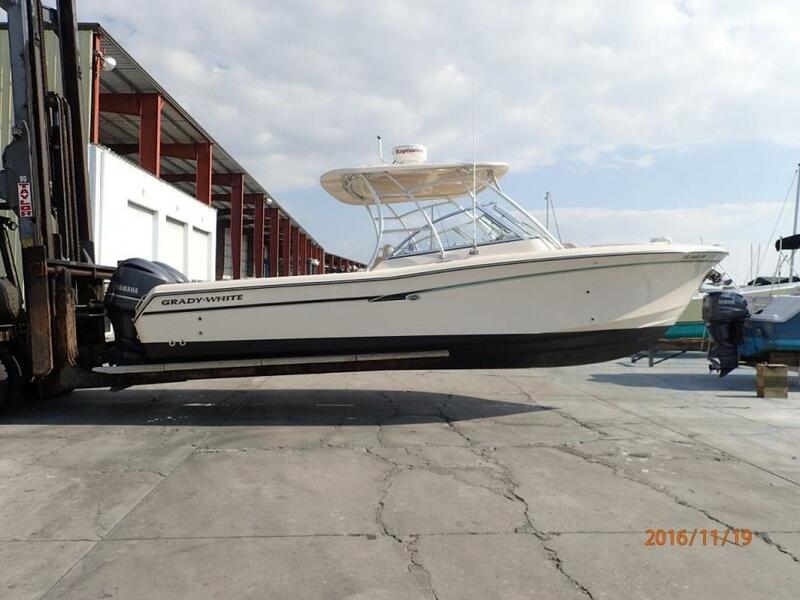 This boat got some light use as a dealer demo and has 30 hours on the engines but is eligible for all new boat promotions and warranty. This is a large dayboat with superior sea keeping ability and safety. 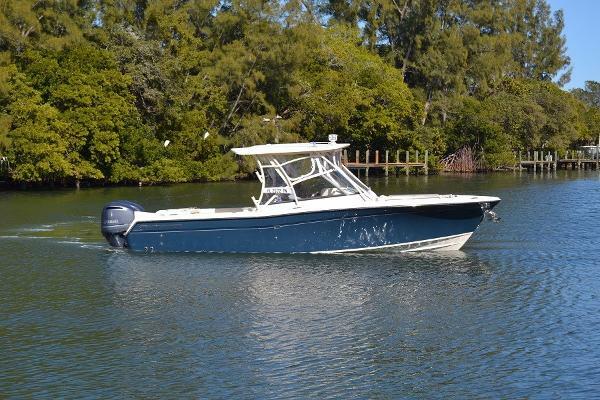 Beautiful harbor blue hull color with painted hardtop frame. Electronics include a Garmin 8212 GPS/Plotter/Fishfinder and a Garmin 200 VHF. A remote control ACR spotlight is mounted on the hardtop. 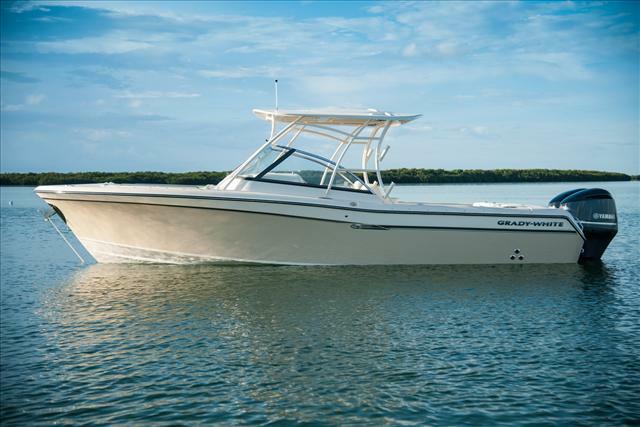 Other options include a deluxe wet bar with Corian countertop, dockside power, painted hardtop mounted rod holders, a marine head with electric flush, ivory front and side curtains, and a fusion stereo with Bluetooth compatibility. 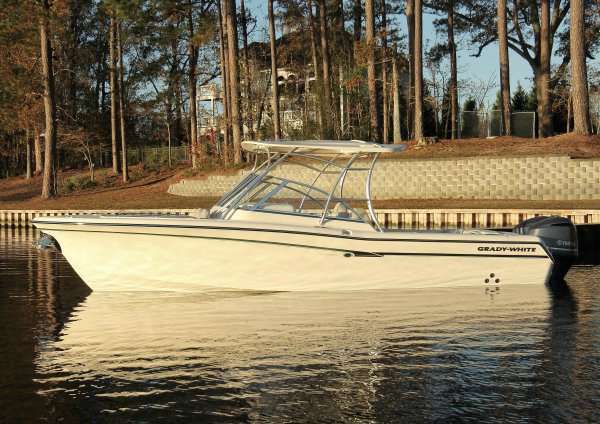 Call Cannons Marina today for more information on this stunning Grady-White Freedom!